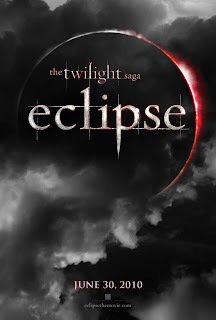 I just found out that that the Twilight Sage: Eclipse movie will be released to IMAX(R) theaters simultaneously with the film's launch on June 30, 2010. All I have to say is that I'm so grateful that I will get to see Edward AND Jacob super hotness on the BIG screen. June 30th can't come soon enough. I just barely saw Twilight the first one and now I'm addicted. I think I'm going to have to mark my calendar for this one, oh and see New Moon too. You have no idea how excited I am to see New Moon -- just a few more short months! It's going to be GREAT!!!!!!!!! Duh -- I meant Eclipse!! !